Order within 19hrs 44mins for delivery Monday 22 April using next day delivery at checkout. Create perfect or imperfect pets for your Sims, from loyal dogs to daring kitties, as you determine their looks and personality traits. Then take control of these pets and experience the world from their perspective. Enjoy a little mischief by destroying furniture or impress others by mastering new skills like hunting. Lead your Sims on adventures, like uncovering relics and solving mysteries. More pets mean more fun: With a variety of breeds and creative ways to customize your Simsâ€™ pets, create unique dogs and cats with limitless possibilities! Embark on adventures: Sims can explore the history of town, using their pets to sniff out treasures, uncover mysteries, catch rare collectible pets, and maybe even seen ghosts. Pets have their own traits: From intelligent, friendly, and proud to playful, adventurous, and aggressive, determine the personalities of your Simsâ€™ pets. 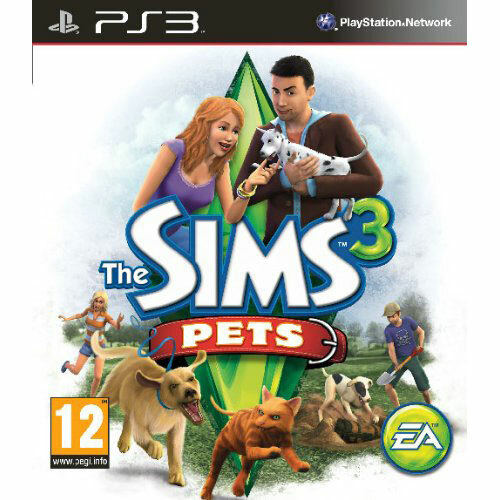 Pets can learn skills: Cats and dogs can learn to hunt, dogs can learn to locate collectibles and fetch your Sims a date. With career opportunities, your Simsâ€™ pets can even work their way up the chain to become the ultimate criminal mastermind.